LDA Incorporated Attorneys is a boutique Law Firm specialising in Labour Law and Commercial law. We have the MOST reported law decisions in South Africa in the Industrial Law Journals than any other firm of our size. This is why we are known as the front runners in our primary discipline which is the result of our extensive experience and no-nonsense approach. We have speciailised experience and dealings with the CCMA, Bargaining Councils, Labour Court, Labour Appeal Court and the High Court. We pride ourselves on our proficiency and integrity and ensure that we are always acting in the best interests of our clients. We also offer training in various disciplines. We provide proper and real solutions when dealing with legal challenges. Our success and name in the legal fraternity is the result of our ability to solve legal challenges and to outwit our opponents ensuring that our client's interests are protected at all costs. Larry Dave has appeared as a speaker on SABC 3 Rights and Recourse in respect of labour issues and Business Day TV. 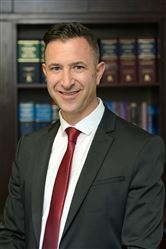 Larry has lectured in labour law and also sits on the Labour Court's pro bono project and is a member of the South African Society of Labour Lawyers. he is also a member of the International Society for Labour and Social Security Law. In January 2018 Larry and his team will be leading their second challenge to the Constitutional Court challenging a specifc part of the Labour Relations Act.